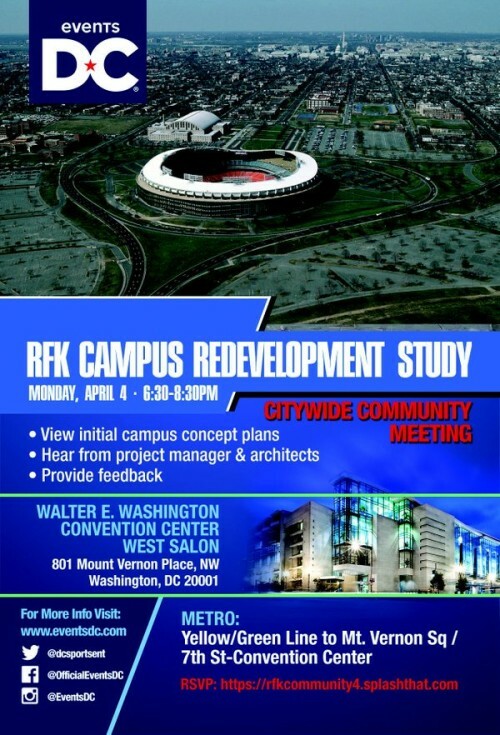 “WHAT: Events DC, the official convention and sports authority for the District of Columbia, will host a citywide community meeting to unveil initial concepts for the RFK Stadium-Armory campus redevelopment project. The conceptual designs will feature anchor facilities, recreational spaces and connectivity across the 190 acre site, creating a sense of place for the Campus that resonates with the surrounding community and across the District. The meeting will be led by Events DC as well as the project management team from Brailsford and Dunlavey and the architectural firm, OMA.